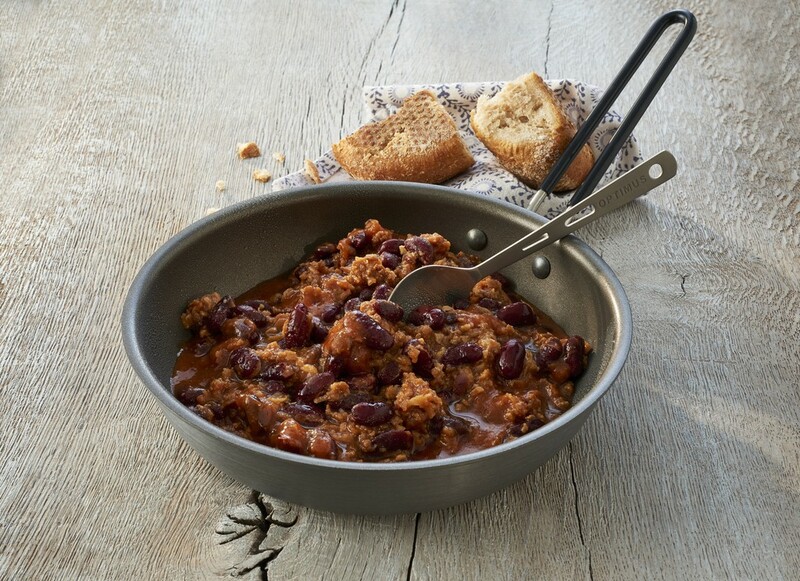 Red beans, beef and onions. 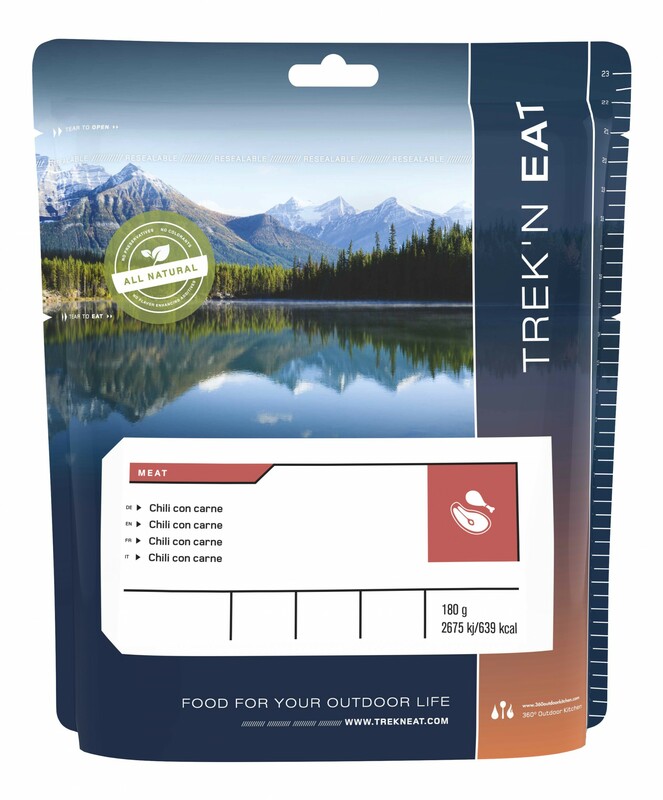 Chili con carne Trek'n'eat is a complete and nourishing dish. 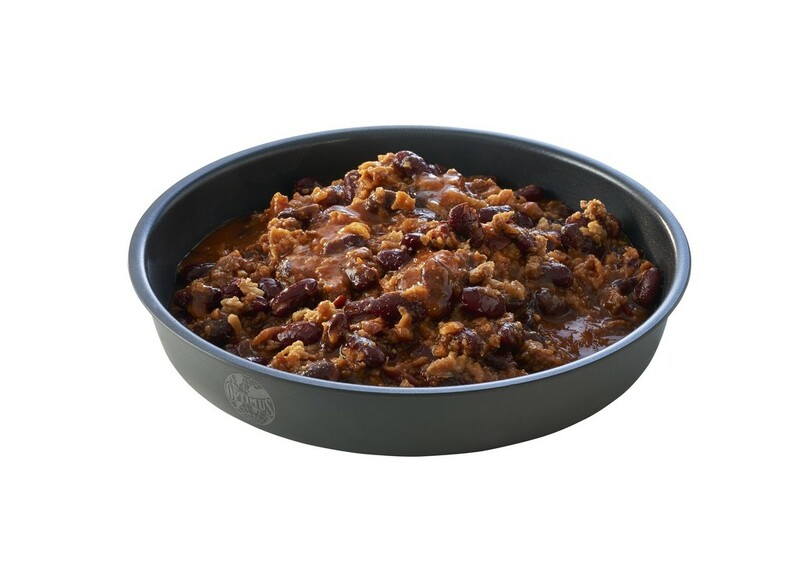 Red beans (42%), beef (12%), roasted onions (onions, vegetable oil, wheat flour, table salt), tomatoes, maltodextrin, textured soy protein, seasoning, vegetable fat, paprika, starch, lactose, yeast extract, sugar, table salt, anti-caking agent: silica acid, natural flavors. Weight of meat: Meat is dehydrated 21.6 g approx. 108 g of fresh meat.